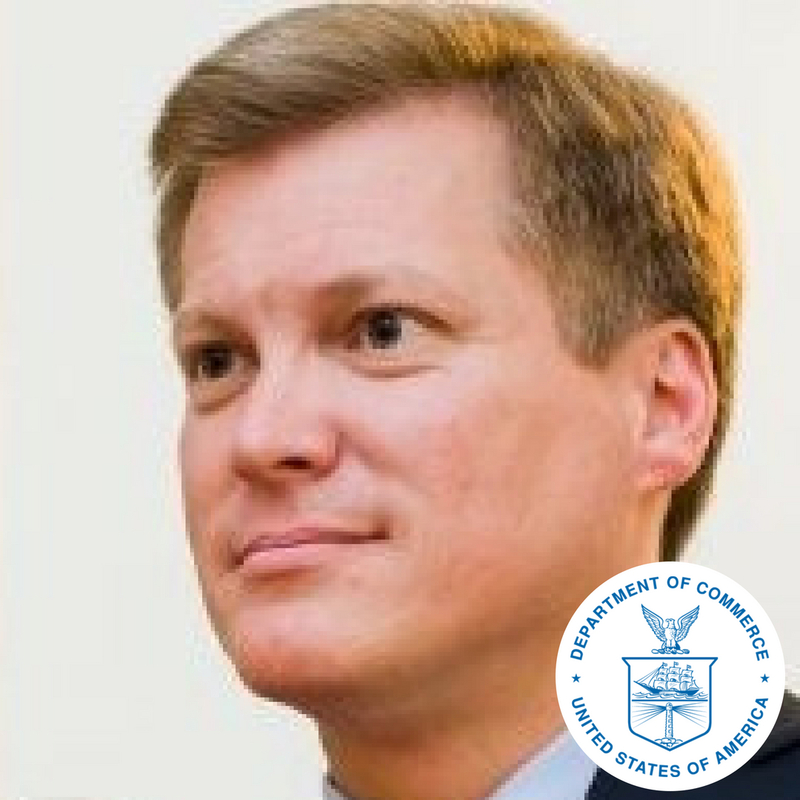 James M. Sullivan was named Deputy Assistant Secretary for Services in July 2017. In this role, Mr. Sullivan directs the U.S. Department of Commerce’s efforts to strengthen the global competitiveness of U.S. services firms, which account for 80 percent of the nation’s private sector economy. His primary areas of focus include the financial, digital and internet, supply chain, and professional and business services industries. Prior to joining Commerce, Mr. Sullivan was cofounder and president of TKOUT, a SaaS (software-as-a-service) provider of on-demand ordering solutions to ICT (information and communication technology) and digital media companies. Before that, he served as managing director and general counsel of Clover Investment Group, a private equity firm focused on lower middle-market hospitality and technology businesses. Previously, from 1999 to 2006, he practiced law in Washington, D.C., as a member of the white-collar defense teams at Morrison & Foerster and DLA Piper. Mr. Sullivan earned his BA in political science from the College of the Holy Cross, his JD from the Catholic University of America, and his MBA from Georgetown University. He is a member of the bars of the District of Columbia and the State of New York.